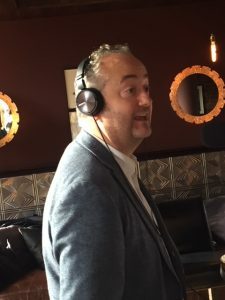 Russell Goldsmith welcomed back to the show James Erskine, Managing Director of The Big Shot, to talk about his agency’s latest Content State of Mind report. James was a previous guest on Show 12 of the series when we discussed working with Social Talent & YouTubers, but this time he was joined by Hannah Bourne, Marketing Director for Children’s at Penguin Random House UK to discuss attitudes to branded content as highlighted in the new report. 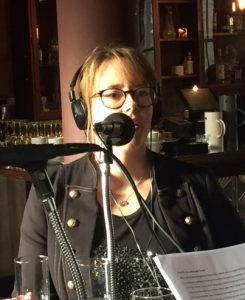 Hannah has had twelve years of working in Book marketing and in that time, she said she’s seen a big development from announcement led marketing to more conversational and engaging marketing. She also talked about how things have changed since first working with Social Influencers six years, when a campaign with Jim Chapman, for example, costs hundreds of pounds rather than thousands or even tens of thousands that it would be now. However, what struck her about that experience from the very beginning was the trust and authenticity of Jim, who, as Hannah explained, in that particular campaign, loved the book and was phenomenal in communicating that fact to his audience, and the trust that his audience had in him, believed in what he was doing and were interested in what he was interested in. Hannah feels that other brands do need to think more like a publisher and believes many in fact are already. She said that it’s about adding value to any individual conversation and meeting that need in your audience – so identify who your key target market is, figure out what they need and what is missing in their life and then what you, as a brand, can contribute to that conversation, as that’s how the level of engagement will increase, resulting in better brand awareness and sales. James added that it’s important for brands to stay relevant and advised them not to ‘go rogue’ just because it’s content but to ensure they keep a conversation going and think about how you are moving your customers or potential to the next stage in their decision-making process. In terms of the different channels and types of content that Hannah uses, she said it starts with where to find the audience, knowing when they are going to be there but also when they are in the right frame of mind to hear from you and ensuring you are adding value to the right conversations. Hannah talked though examples of when they use channels such as mumsnet, Facebook and Instagram for different campaigns, plus how they have been using podcasts too, working with a Vlogger, Fritha Quinn, who helped reach parents who were struggling to get their young children to sleep. The result was that the audio book outsold the physical book, which Hannah said was really exciting. As for which channels came out top in the report for seeing content, James said that 70% cited Facebook as the most popular in terms of seeing positive content that was highly recalled, whereas Snapchat only scored 16%. With regards to Facebook in particular, the fact that the platform changed its algorithm recently has been in the news quite a bit and so James explained broadly it means when you log on to your Newsfeed, you’ll see a lot less posts from brands and more from your friends and family who you are connected to. He quoted Mark Zuckerberg who said he wanted Facebook users to have “meaningful social interactions”. However, James feels that nothing is changing in terms of the way brands can still boost their posts to reach their audience, so he believes it’s just a way for Facebook to generate more advertising revenue. The conversation moved on to how brands can work with social influeners and it was quite timely as the podcast was being recorded at the end of a week when the news has included a story of how the owner of a hotel in Dublin, Paul Stenson shared on social media his response to a UK-based social media influencer, Elle Darby, after she had approached the hotel for a possible collaboration where she wanted to feature them in her YouTube and Instagram channel in return for a free stay. Elle’s initial approach, where she included the line “last year, I worked with Orlando Florida and it’s been amazing for them” may have been a bit naive in the way it was written it, but as James said, to exchange goods and services is as old as time itself. However, asking for five nights free stay may have been a bit ‘punchy’, but Stenson should have entered into a negotiation rather than go public on it. James viewed Elle as a young entrepreneur who was simply offering the owner a different way of marketing his hotel, one which, ironically, according to James, another online creator, the SACCONEJOLYs, had previously featured the hotel in their content. Hannah added that she believes Stenson has misunderstood the transactional nature of the conversation he is having and how much the followers of online influencers consider them personal friends. For example, if you had visited a hotel and had a horrible experience with the manager and told your friends, your friends would never go there. Hannah is not of the opinion there is no such thing as bad publicity and thinks this an example of bad publicity for the hotel in question. James said that Social Circle, another agency he is involved in, has a ‘Cost per weighted engagement’ calculator, which aims to avoid these kind of situations as it helps creators assess their worth. Of course, it’s not all about working with Social influencers. Hannah explained they’ve had a lot of success with podcasts as mentioned previously, but particularly the rise of digital radio has allowed the growth of more niche stations, such as Fun Kids Radio that she has worked with and said was a fantastic way to reach Parents and Kids together. They are also experimenting with different types of video. For example, for Diary of a Wimpy Kid, they had video ads featuring kids, showing how hilarious they found the book. The final part of discussion was on measurement and data collection and what impact the introduction of GDPR might have. Hannah said that her team measures everything but whilst they may look at how many views a video trailer on YouTube has generated, she is more interested in the level of conversation that’s happening underneath the video in the comments section and the positive and negative interactions with the ‘thumbs up’ signals. As for GDPR, Hannah said that Penguin Random House always aim to be the absolute gold standard with regards to data collection, but the issue here will be around collection of children’s data. For example, she explained that there are already things you cannot do online when advertising to children, such as re-targeting, as you are not allowed to, as she described, hound a child around the internet. However, you are not allowed to take any identifying information from a child that you don’t 100% need. For example, you can’t take their address if you are not going to physically post them something. She added that you are not allowed to take any identifying information without parental consent but at the moment it is passive parental consent, i.e. a tick box that says does you parent think it is OK for you to join this newsletter. This will no longer be good enough as it will need to be an active consent going forward.